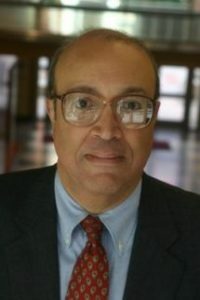 Adam Clayton Powell III is Director, Washington Programs for the University of Southern California’s Center on Communication Leadership and Policy and directs the Center’s Internet of Things (IoT) Emergency Response Initiative. He is also University Fellow at the USC Center on Public Diplomacy. Until the fall of 2010, Powell served as USC’s Vice Provost for Globalization, working with faculty and deans to advance the university’s global initiatives, expand USC’s international presence, increase USC’s leadership role in the Association of Pacific Rim Universities, and promoting the university throughout the world. He has also appeared on the PBS News Hour, The O’Reilly Factor on Fox News, on BBC- television and was a host on C-Span. Adam Powell frequently blogs on the CCLP blog.